It’s cold outside, here in Southern California, even though we’re almost to June. We need a tropical fix and we need it now! Seeing as though it’s only 10am we can’t quite break out the Pina Colada machine yet, so we created a solution we’re in need of a tropical kick before happy hour! Introducing our version of Chia Seeds Pudding. 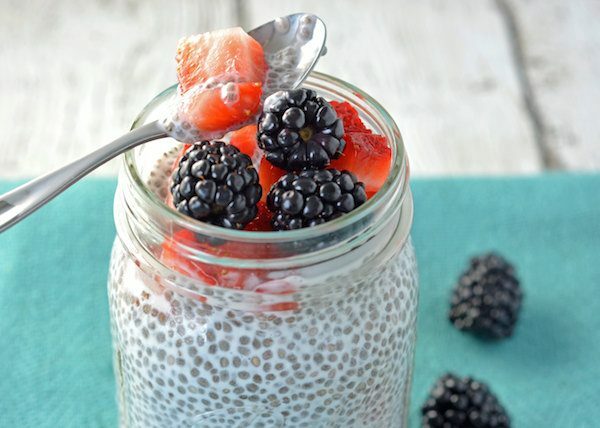 Our chia seed pudding recipe is made with coconut milk! Yep, chia seed recipes are plentiful but we promise THIS ONE is a keeper. Not sure where to buy chia seeds? Check the bulk bin section at your local grocery store. Amazon also carries a wide variety of brands. 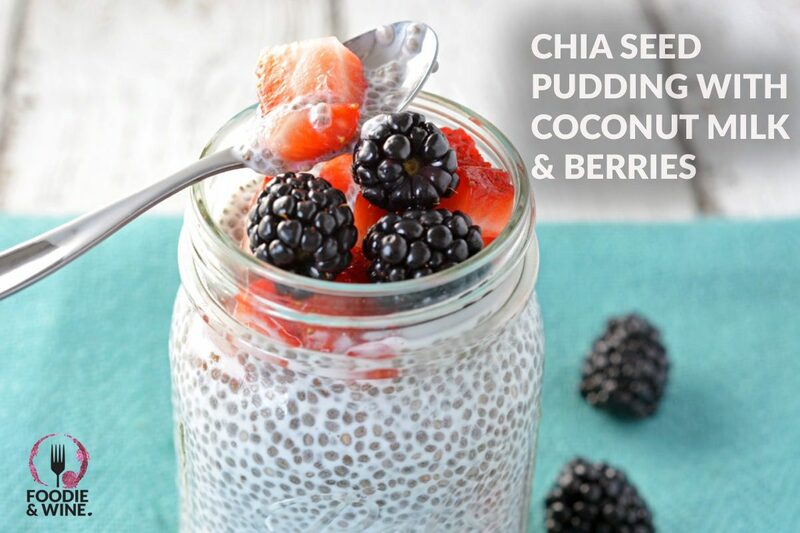 Side bar…you didn’t think we were going to do a chia seed pudding recipe without singing the Chia Pet “cha cha cha chia” theme song did you? Have fun singing that silently to yourself for the rest of the afternoon. At least until happy hour when the pina colada machine can be turned on to drown out the noise. 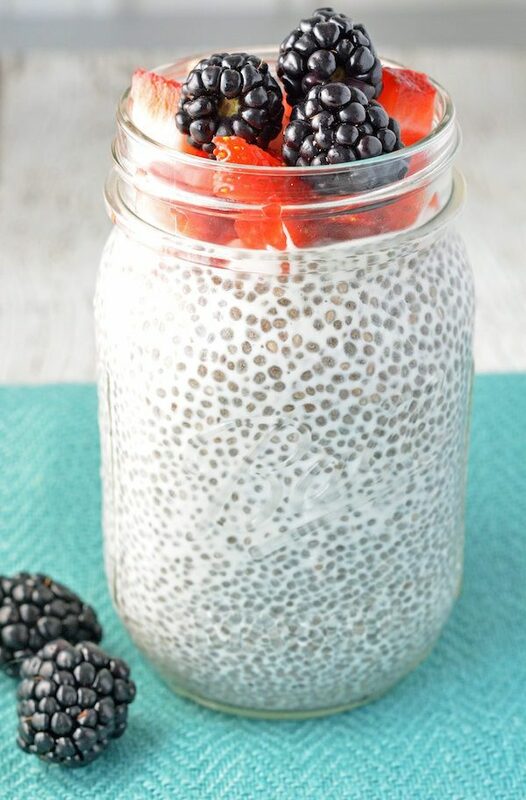 Combine the chia seeds and coconut milk in a mason jar and put in the refrigerator. Let sit for a minimum of 30 minutes, up to overnight. When ready to eat, top it with berries of your choice. Refrigerate up to 5 days! I am looking for a true Thai clear broth recipe made with fresh ingredients. No canned broth or packaged vegetables .